Established in Hull, East Yorkshire, in 1948, we are proud to have grown with our clients, continually investing in staff, management and training. Our team is our greatest asset, with many roofing experts spending their entire careers with us. A large proportion of our workforce joined us as apprentices and some have now brought the next generation of their families into LA Hall. Our reputation is in the hands of each person on our team. That’s why we invest in ongoing training, development and specialist accreditation, to ensure everything we do is carried out to the highest standards in quality and customer satisfaction. 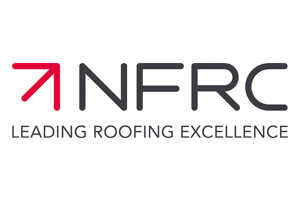 As roofing materials merchants we have direct accounts with all the major manufacturers, enabling us to offer the best value and keep tight control over costs. This offers value for money for the client, as well as the convenience of having one point of contact for both materials and work. Lawrence Hall founded our business in a small yard on Hull’s Lime Street shortly after the Second World War. In 1965 Lawrence passed the business onto his son, Mike Hall, who continued successfully until 2000 when it was purchased by Steve Copeman, a well-established member of the team, who still runs the company today. LA Hall continues to operate from its Lime Street HQ, which over the years has undergone expansion and redevelopment to keep pace with the continual steady growth of the business. As with our premises, the company’s ethos remains the same – to provide outstanding quality work to exceed customer expectations.